Start talking about MidLife and people immediately think of mid-life crisis. But it needn’t be that way! One meaning of ‘crisis’ is ‘turning point’ and MidLife is indeed a turning point. It’s a time when we can take a breath and consider how far we’ve come … as well as what we still want to do. It is a time for transition. MidLife can be an opportunity, a time to reflect, adjust your direction and move forward into the best of the rest of your life. – but do you know how to make the best of it? Are you drifting and want to make a change in direction? Are you simply stuck in a rut? Do you know how that will affect you? Are you concerned about how you will cope? Do you know what you might do once you’re not at work every day? Would you like to keep working but don’t know what that might mean for you? Has your role changed and you need to work out who you are now? Have you been made redundant? Suffering from ’empty nest syndrome’ or facing up to the kids leaving home? 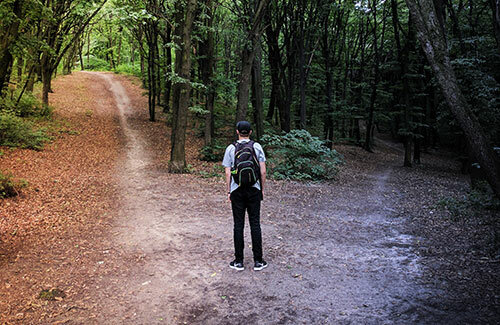 Are you contemplating a career change? Or are you becoming a carer? Do you want to discover your life purpose? Working with Jane Parslow will enable you to make the changes you want, improve your emotional flexibility and increase your joy in life. You can indeed make sure that you get the best from the rest of your life.